Well the first and most important resource is WordPress itself where you can not only download the software but also explore the free themes, plugins, the documentation, support and forum – anything that you could want to know will be within that website. Allow a few hours to browse, read and learn. Please note that any links on this page that have * beside them are affiliate links – that means we receive a percentage of any purchase made from that link. 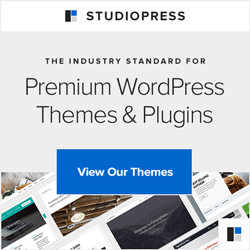 WordPress Themes that we work with – well for the past few years we’re firmly in the Genesis Framework* from StudioPress camp – love it, work with it every day and thoroughly enjoy the hugely supportive community. A wonderfully simple Favicon generator – you just upload your original image and a perfectly sized favicon.ico file is generated. We used this for the W favicon above. Google’s Keyword Tool – essential both to identify your real keywords and for blog post ideas. This blog post will take you through the basics of using this tool. Font Pair helps designers see how pairs of Google Fonts look. A really useful way to see if your colours will work together is Web AIM’s Color Contrast Checker. Indeed their Resources page provides a wealth of useful stuff for any web designer. The ProBlogger, Darren Rowse is an essential chap to follow – keep up with his blogs. For Internet marketing strategy – Ian Lurie’s Conversation Marketing book is still one we recommend, as is Don’t Make Me Think by Steve Krug – both essential for anyone with a website. Of course more useful links will be added here and if you want to suggest any, please pop an email to hello@blogmistress.com with the details. Thank you.